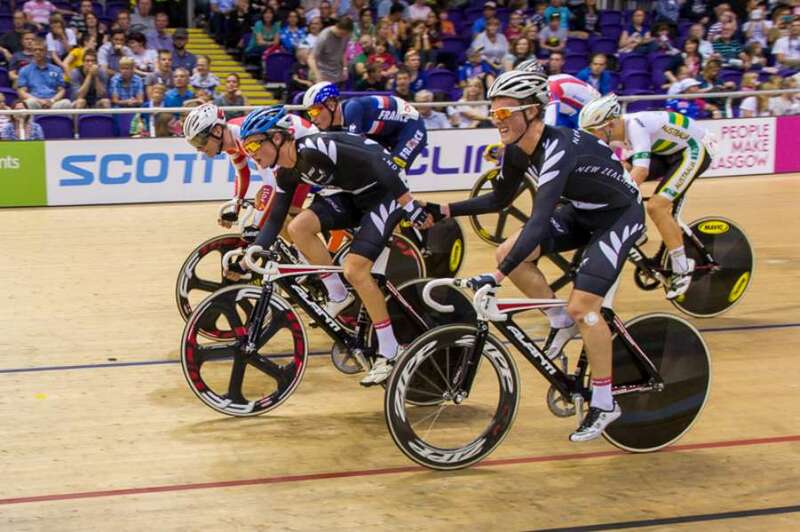 All that glitters is silver for the New Zealand junior track cycling team who earned two laudable silver medals on the final day of the UCI World Championships in Glasgow today. The pairing of Regan Gough and Liam Aitcheson recovered from two crashes to gain the silver medal in the 120lap Madison, almost running down leaders Denmark on the line. Moments later Southland’s Jeremy Presbury was rolled on the line in the deciding third race of men’s sprint gold medal ride in the Sir Chris Hoy Velodrome. New Zealand’s nine-strong squad finished with five silver medals, compared with 10 last year’s world championships from a team of 16 competing at Invercargill. Machejefski believes there are excellent futures ahead for the group. Presbury (Invercargill), who turned 18 at the start of the championships, was pushed to three rides to beat Vladislav Fedin (RUS) in one semifinal while Svajunas Jonauskas (LTU) beat off Australia’s Patrick Constable. The Kiwi took out the first final when he rolled over his opponent on the finish straight but the Lithuanian took advantage to come from behind in the next two races to claim the gold medal. “Jeremy is a racer and he has great tactical ability. He and coach John Rastrick devised some great plans and pulled off all that they talked about,” Machejefski said. 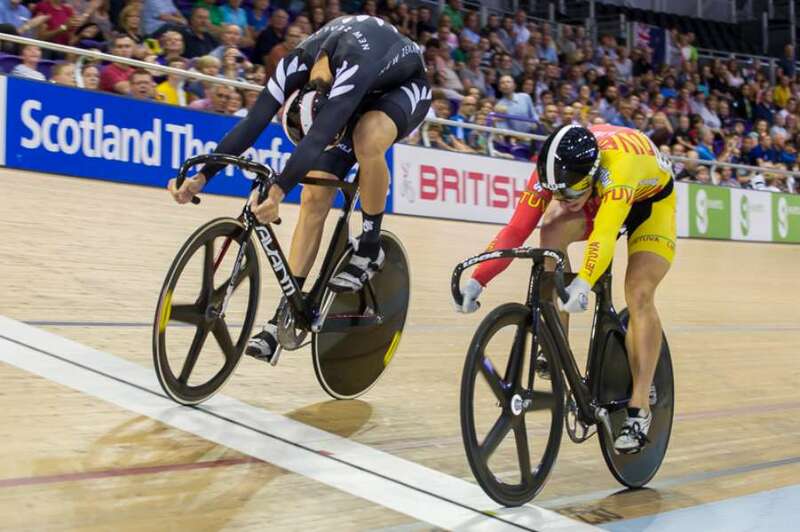 The Kiwi pairing of Aitcheson and Gough made the key move with Denmark to put a lap on the field in the 30km Madison, the two-person race where one rider must be in play at all times, changing with a hand-to-hand slingshot action. Gough had one fall mid-race but recovered as the New Zealanders pushed into gold medal contention. With nine of the 120 laps remaining, Gough was brought down in another crash. He changed bikes and got back into the race but by that stage Denmark had opened a half-lap lead. The Kiwis pushed on with Aitcheson unleashing a furious final attack that brought them to within a bike length at the finish. New Zealand finished with five silver medals to the team pursuit (Liam Aitcheson, Regan Gough, Josh Haggerty, Connor Stead), Haggerty (scratch race), Aitcheson (points race), Gough and Aitcheson (Madison) and Presbury (sprint). Sprint, semifinals: Jeremy Presbury (NZL) bt Vladslav Fedin (RUS) 2-1, Svajunas Jonauskas (LTU) bt Patrick Constable (AUS) 2-1. Gold medal ride: Jonauskas bt Presbury 2-1. Bronze medal: Fedin bt Constable 2-0. Madison: Denmark 11 points, 1 lap up, 1; New Zealand (Regan Gough, Liam Aitcheson) 8 points, 1 lap up, 2; Australia 17 points, 3. CAPTION: Jeremy Presbury edges Svajunas Jonauskas (LTU) in the first final of the men’s sprint at the UCI Juniors Track Cycling World Championships in Glasgow. CAPTION: Regan Gough (Hawkes Bay) and Liam Aitcheson (Alexandra) in action during the Madison at the UCI Juniors Track Cycling World Championships in Glasgow.